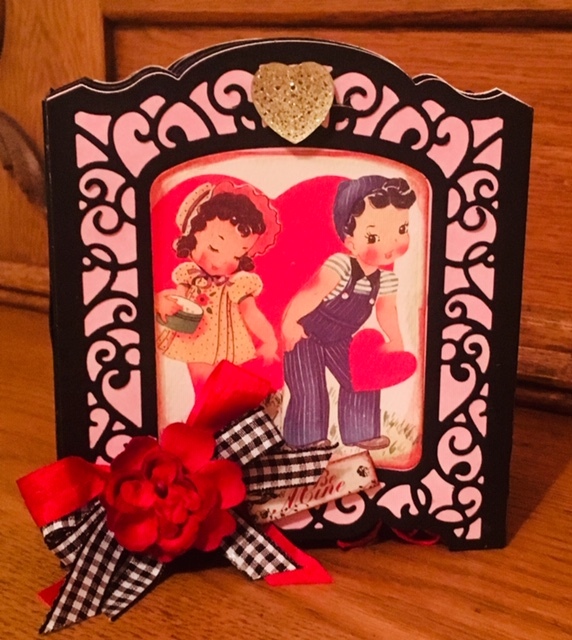 Please say hello and give a warm welcome to our Guest Designer for the Vintage Valentine challenge. Beverly Jordan was the Top Pick from the 'Tis the Season for Gift Giving challenge and can be found on her blog, Beverly Jordan. Hello everyone, I am Beverly, from Orlando, Florida, and am so honored to be a Guest Designer for this brand new challenge at Frilly and Funkie Challenge Blog...A big 'thank you' to the Design Team for this chance! I have been crafting since I was a child, and am an avid scrapbooker, card maker, and love to make mini albums for gifts. I love scoping out antique markets, creating 100+ Christmas cards 10 months ahead of time and baking delicious original desserts for my family while practicing as a Dental Hygienist these past many years. 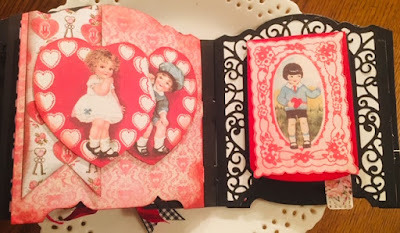 I created a Valentine Mini Album using a 3D Die by Spellbinders. The die was designed for a 3D card but thought it would be perfect to use for this project which I made a Valentines Mini Album. By using the die cut frame and only attaching it to the spine, I was able to make a vintage, shabby chic, album. Am planning on adding photos of my hubby and I, for his Valentine! Being a ribbon addict doesn't help, but it was fun adding several different ones of different textures and colors. To see all the details of Beverly's mini album, click here and you will be taken to her blog. 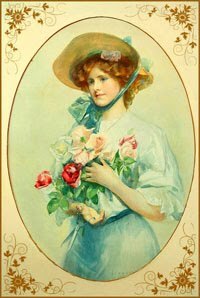 Once you have checked her creation out, come on back and share your Vintage Valentines with us. 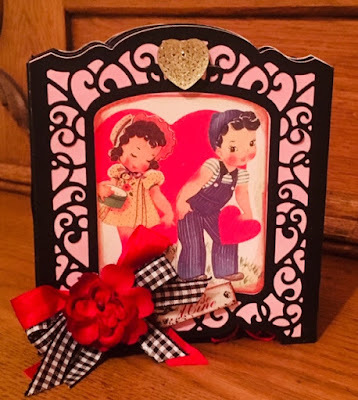 The Vintage Valentines challenge can be found HERE and runs until 11:55 pm EST, January 29, 2019. Check back with us on Saturday when one of our designers will have a new Saturday Showcase for you and if you need more Valentine inspirations, the gals on the funkie side of the team will be here to show you their projects next Wednesday. Beautiful, adorable, and so cute! Great job, Beverly! Thank you sweet Billie Dee!! So appreciate your support sweet friend!!! Hugs and kisses! So pretty! The die did work perfectly for making your lovely mini! 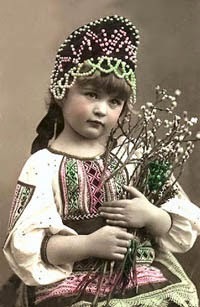 Love your vintage images. Thanks for joining us as a guest designer. Thank you Maggi for your kind words and support and for having me as your Guest Designer! It means so much coming from such a talented designer as you!! Gorgeous mini album celebrating Valentines Day! Thank you Lagene! So appreciate you enjoying it! 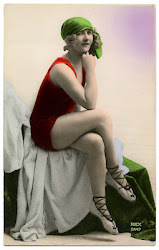 It was a joy to be showcased here on this fabulous blog!! What a great mini album to celebrate your love! 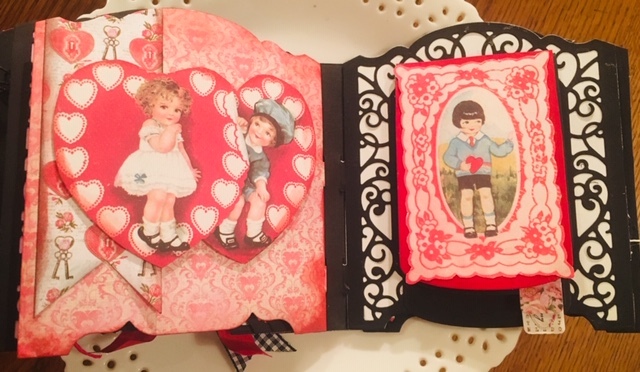 I love how you've used that intricate die cut to make your pages and those sweet vintage valentine images! Thank you for being our Guest Designer, Beverly! Thank you Sara for having me Guest design here on Frilly and Funkie Blog!! It has been fun and such an honor! These remind me very much of the 60s Valentines we traded in school!! Thank you Lyla! 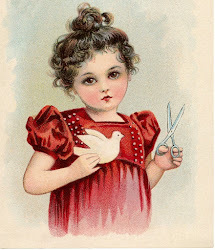 Loved these cute vintage valentines and your sweet comment too!! I love the idea of adding that personal touch with those photographs. What an extra treasure this will become Beverly when you look back on it. Beautiful album. Thank you so much for your sweet comment and support, Tracey! !